The line at the post office wraps out the door. Should I go from the O line to the T line? Those are my thoughts as I approach the post office lines, organized by last name, at the beginning of the semester. I think the T line must be shorter. I glide into the T line avoiding the confused looks of the people around me whose thoughts might range from “Is she trying to cheat the line?” to “Doesn’t she know her own last name?” I finally arrive to the counter and hand the assistant my ID. “You can look me up under Tirado,” I say. I get out of the Post Office with my package, savouring the extra 15 minutes I just added to my day and thinking about the benefits of having two last names. It is true that having two last names has its perks. But as I lay in bed pondering over the deceiving nature of my actions at the post office, I could not help but think about the peculiarity and mild annoyance of having two last names. It might be due to the fact that we are in the middle of Hispanic Heritage Month and all of my social media feeds are filled with wonderful essays about the joy of being Latino. Or because I was yet again asked to spell my last names repeatedly, in order to get my package. Nevertheless, it drove me to analyze what it means to have two last names. As some people know, Latin people usually have two last names: the first from their father and the second from the mother. However, if you would have told me five years ago that I was going to write an article about the experiences of having two last names, I would have laughed in your face. Back when I lived in my home country, Venezuela, I did not think twice about how long my name was. For someone to say that having two last names was noteworthy would have been like me telling you that eating breakfast in the morning is unique. It just was the way things were. However, when I arrived in the United States, it became apparent to me that people were rather intrigued by it. “So is that hyphenated?” No. “Wait, what is your name again?” Alexandra. “Wait, so is Tirado your middle name?” Again, no. People’s uninformed reactions towards my two last names always made me react awkwardly. One thing people from other cultures do not realize is that you do not usually use your second last name for many things. Think of a second last name as a second first name – you don’t really introduce yourself to new people as Catherine Elizabeth unless you want them to remind you of your mom when they say your name. In fact, ever since I came to the United States, I have used my second last name more times than I ever have in my country. At first I was pretty annoyed by having to use my second last name so much. I have never liked the sound of my first last name, but I definitely like my second one less. Plus, it made everything so long. People have to actually stop for about one whole minute when I tell them my Spartan email. Besides, it made me feel so different. Not only from the people of other cultures, but from myself back in my country. People were suddenly forced to call me by my whole name, including that second last name I only acknowledge when signing important documents. One day, however, I was talking to a Colombian friend who had just gotten out of a very exhausting trip to the Jaeb Computer Center. The system kept confusing her name because it was so long and she had to spend one afternoon changing her whole Spartan email. As we ranted and laughed about the inconveniences of having such long names, we could not help but be slightly happy that we had this connection. We realized that if enough of us feel different, maybe we are not much of an oddity after all. After that day, I started slowly seeing the perks of my long name. Sometimes, it had to do with cutting lines. Other times, it actually brings me comfort that I carry a little bit of my mom in my name. 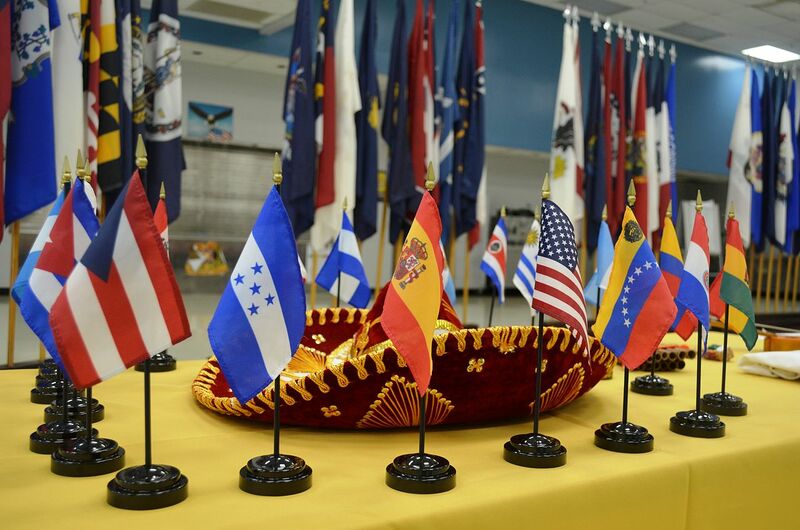 So, when I think about Hispanic Heritage Month and those things that need to be celebrated in the Latin culture, I not only focus on the big important things, but also in those little day-to-day things that help build our culture, sometimes in annoying ways. It is these things that help us find each other in the middle of a room and start a conversation. It is also the basis of a lot of funny and wonderful conversations with people from other cultures. So, as I lay pondering in bed, I find that these are the reasons why I am so glad it takes me so long to write down my name. That, and of course, the post office line perks.